I’m torn on this one. 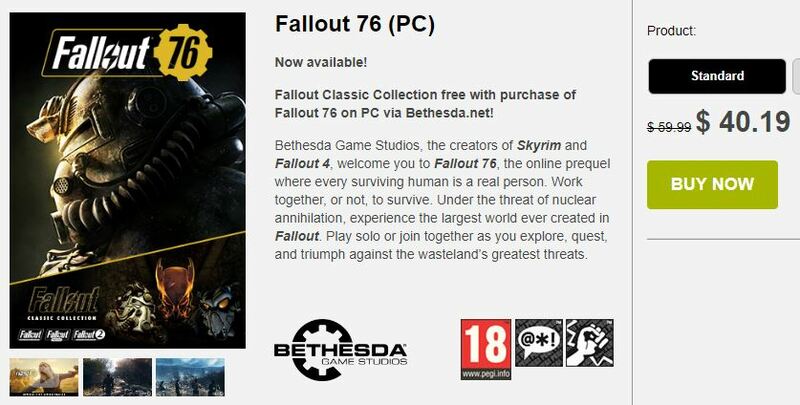 Unless you have been living in a cave, you’d have heard that the launch of Fallout 76 has been…. well a spectacular disaster. Launching at a full AAA price of $60 to what is apparently an empty world didn’t help things at all. That said, I’ve liked Fallout for a long while, and yes I really did like the Bethesda treatment for Fallout 3. And then we got New Vegas which was nothing short of amazing. Sadly Obsidian, the team behind New Vegas that comprised many of the original Fallout team were punished in reviews with faults based on the aging gamebryo engine that Bethesda loves so much. Which is sad as their bonus payment & future were tied to the metacritic score, which Bethesda tied a rock around their neck. Fallout 4 was disappointing as it removed so much of the RPG elements, making the game boring, as it just lacked depth. Which really is an unfortunate direction. And the overall story/twist was so utterly predictable it was disappointing that you as the player were not expected to ‘get it’ right away. And now here we are, Fallout 76, where they decided to remove all the NPC’s all together. Which leads me to the following problem. Fallout 76 is going to crash and burn, and as soon as the ‘next big thing’ launches nobody is going to play it. So this is basically my only opportunity to play it with other people online. The full price was certainly too much, and with the incredibly poor reception its had over the last week, it is already reduced in price by 33%. Obviously this doesn’t bode well for the future of the game, but out of morbid curiosity I’m going to give it a try. I’m pretty sure it’s going to be full of disappointment and failure. I wouldn’t recommend anyone to really try it. I wouldn’t be surprised if in another week the price was further reduced to $30 USD, with some time before Christmas for a further reduction to $20. But by then will there be anyone left to play the game with? The size of the game is overwhelming, I’m currently living in a small village in Hong Kong (yes it’s not all big city) the only internet options were 6MB DSL, or a 4G cellphone connection. The 4G is much faster, however the WiFi bridge adapter I have is only 802.11a compatible so that is why I’m getting such a poor download speed. It’s been downloading all night, and I’m too impatient to not at least write down my thoughts at the moment. I should probably just break down, get a capture card, some tripods and lights and just make crappy YouTube videos. I’ve been looking at numbers and I’m almost thinking that videos get further reach. Not that I care too much, otherwise Id have done it ages ago, although it’s probably just me being lazy as video work is a lot of work, while quickly banging this out on a keyboard only takes a few minutes. And I’ll have to get graphics, license music and use something to make snazy effects and stuff. Ugh sounds suspiciously like a lot of hard work. After about 12 hours to download my junky machine would just launch Fallout 76 to a blank screen and then exit with no error code, or hint of a message. Apparently going onto the forums it turns out that the ancient video card with 512MB of graphics RAM is just not enough, and Fallout 76 requires 2GB of video memory. Unlike prior versions of Fallout, there is no pre-game tuning, instead you are thrown into the game with whatever settings are pre-defined. I for one am not too amused with the black screen, and sudden close with not even a hint to the user. But the whole thing is apparently a rush job, so I suppose I shouldn’t be surprised.  The “No Region Ping” which either means that there are no servers up, or perhaps a firewall issue. I later found out that UPnP was disabled on the Huawei E5785 which may have also been the source of issues (although turning it on, and immediately rebooting didn’t change a thing so I don’t know for certain). After a bit of fighting and I finally got the game to launch using my ‘pro’ laptop that has a GPU. 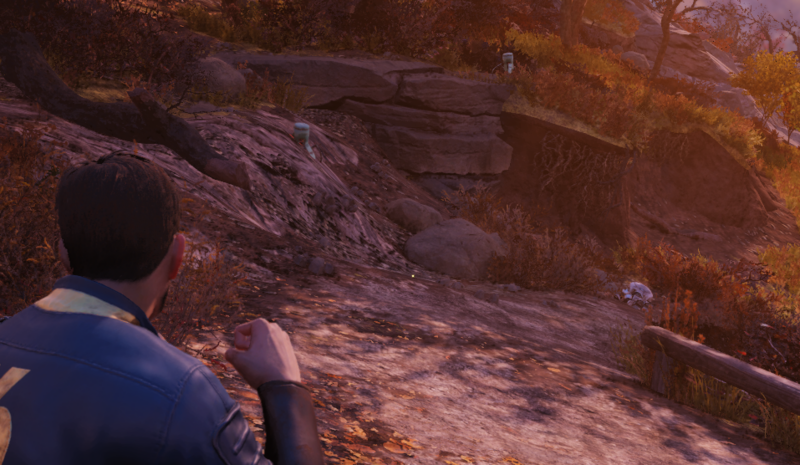 I have to say that the engine does look a lot better than the Fallout 4 one, especially going outside into the forest. Maybe it’s the vibrant colours, a nice change from the bleak/dreary games of old. The texture pop is quite noticeable, it feels like borderlands type flat shading style until it pops the correct texture. I’m playing from SSD which I had thought would help alleviate such issues, but seeing it made no difference, I just moved it to the disk instead. Combat is atrocious. Stepping outside of the vault you encounter these small robots, the “liberator MK 0” that are almost impossible to hit. When combat isn’t happening I can swing my fists of rage around like no tomorrow. Once I encounter the robots I’m lucky to get a single swing for every 50+ mouse clicks. The enemies move so fast that running away isn’t an option either. I had better luck on herding one group of robots to fight another group of ticks, once I had tried to venture out a little further. And speaking of opponents it seems that they just spawn on top of you. I made it to some lighthouse to have 3 feral ghouls spawn in front of me, mauling me in seconds. Not that clicking the mouse button to attack frantically would have done anything. The game world does feel incredibly vast, and also seemingly incredibly lonely as well. After going through the online menu there was only 3 other people on the server I’m on. It’s probably all ready far too late to run into users, as I think the downfall of Fallout 76 is pretty much complete. So yeah after an hour playing the game feels incredibly lonely and isolated. But I have to admit, that after a nuclear war I’d imagine things would be lonely and isolated. I think the part where Bethesda has really made a critical error is that the NPC’s that they put so much love into the past gave people an emotional attachment to the game, and that the prior fallouts, and all the endless elder scrolls are teeming with life. And ’76 instead presents a vast wasteland. Maybe it’s just too true to the source material. Lol nah I would keep them in sync, I was thinking of writing a rough script, shooting that, and then going through the motions of editing the video, and then writing something based on all the processes along with screen shots as material to go on the blog. Since I’m the one doing stuff, it’s my source material. I’d hate to go all video too, I’m working on one now, and I’m 4 hours into documenting something on camera (which it turns out is on a crazy Dutch angle, right out of 1960s Batman) that I’m already at the point of not caring to re-do. Him just going to time compress the 30 minutes into 30 seconds. Not to spoil too much, but after getting the SCSI bus operational on this “new pentium 1” machine I’m never installing from floppy again. I’ve been a fan of Fallout for a while and the recent degradation is something I’m kind of disappointed in, but there is already so many videos about it, so ill just keep my thoughts on my low bandwidth blog. But I felt the need to touch on it. I don’t think ’76 is going to have much of a long shelf life, so I jumped at the 33% sale to try it while there are users online. Most everyone just ignores everyone else it seems. It’s just another fallout that is just as tempermental as the rest, but this one is also ‘always on ‘ since it needs it for the networking. Next Next post: Fallout 76 on trajectory to be free to play by Christmas?